Sound the klaxon, blow the whistle, You Me Bum Bum Train is coming back! It ranked as my second favourite thing that I saw in the entirety of last year and I could not be happier to be able to experience what Kate Bond, Morgan Lloyd and their tireless team have in store for us this time around. 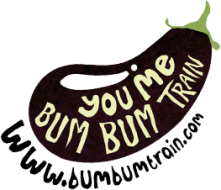 It is quite difficult to explain just what You Me Bum Bum Train is without giving it away, and a massive part of the pleasure is the complete unexpectedness of what it is that lies in store for you. Though it may seem a little scary, and believe me just before I went in last year I was genuinely freaked out and very close to backing out, but I persevered and boy am I glad that I did as I got to do things I never dreamed I would ever do, and will most likely never get the chance again! What I can say is that rather than being a traditional show, You Me Bum Bum Train is ‘a participatory theatrical experience’: you enter on a solo adventure that takes surreal twist and turns that will introduce you to a world like no other where you will get opportunities like no other. It may sound a little intimidating, especially for the more reticent, but it is done with such a huge amount of sensitivity and such an amazingly supportive atmosphere that you never feel exposed or embarrassed, but rather encouraged to have the best time you can possibly have. So put any doubts whatsoever to the side, embrace the unknown and take the plunge as you will only kick yourself if you don’t! But move quickly, tickets sold out for last year’s run in nano-seconds – making it the fastest ever selling show at the Barbican. Tickets will be on sale from Monday 7th November from this website – www.run-riot.com (not the Barbican) – and will be limited to 2 per person with an age limit of 16+. No time has currently been specified so it could be a case of being patient and hitting the refresh button, but I will add in the time as soon as I find out. This year’s show will be taking place at 21-31 New Oxford Street, WC1 and is unfortunately inaccessible to wheelchair users. It is a site-specific work so it changes each time in response to each new venue: it is however always a physical exercise so come prepared in trousers and flat shoes. The show runs on a huge amount of voluntary goodwill and so if you are interested in getting involved with any aspect of the show, whether you’re a graphic designer, a set-builder, an actor or front-of-house, drop them a line at www.facebook.com/groups/youmebumbumtrain or email youmebumbumtraincast@gmail.com and I’m sure they’d be happy to hear from you. It is totally worth it though – an experience like no other.